Snuggle up in the warm sand, little mermaid, and learn how to relax your body ready for sleep. If your little one needs help winding down at the end of the day, the answer is Dinosnores Sleep Stories. 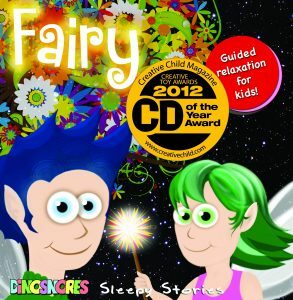 These award winning CD’s provide 60 minutes of stories and soundscapes to relax your child and help them fall asleep. Well little Mermaid, you’ve had a very busy day. But now little mermaid, it’s time to slow down to calm down and rest. To make sure you’re ready for another busy day of swimming, and splashing, tomorrow. A sleepy little mermaid snuggles up in the sun-warmed sand and shells, listening to the ocean waves. Natural sounds of Southern Right Whales in the distance – recorded off the coast of Argentina!